Recently the Greater Vancouver Home Builders’ Associaton announced its winners for its OVATION Awards given out to recognize excellence in home renovation design and construction. This year Sherwood Painting and Decorating was proud to be involved in one of this years winning projects. Harald Koehn Construction won for Best Renovation, $800,000 and over for their project “Country Classic” in South Langley. We would also like to congratulate Harald Koehn Construction for winning RenoMark Renovator of the Year, Small Volume. Pictures of this winning project can be seen at: haraldkoehn.com. We had a pleasure working along side this builder and subtrades on this remarkable project and we look forward to offer our painting services to many current and future GVHBA members in the months and years ahead. 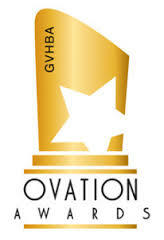 To see the entire list of winners of this year’s OVATION Awards, please visit www.gvhba.org/ovationawards .